Here are the typical causes and how to help prevent them—so you can drive with more confidence. The Cause: Most people at least know someone who has been rear-ended even if they haven’t been directly involved. Often these are the result of decision errors, such as driving too fast, misjudging the gap between cars or the speed of another driver, or driving too aggressively. How to Avoid Them: Simply put, leave plenty of room between your car and other cars. Try to anticipate when the vehicle in front of you may stop by glancing ahead for traffic lights, roadblocks, pedestrians and increased traffic. And if the driver behind you is tailgating, calmly pull over when it’s safe to do so and let that person pass. How to Avoid Them: Be extra vigilant in areas where there are multiple vehicles traveling in multiple directions, like intersections and parking lots. Be ready to adjust your driving behavior based on road conditions, time of day, the weather, traffic volume, and your familiarity with the roadway and surrounding environment. The Cause: These types of collisions, which occur when a single vehicle veers off the road, can be the result of performance errors, like overcompensation, poor directional control or losing control of your vehicle, or decision errors, such as misjudging a curve. Some key factors in single-car crashes are distraction or inattention, drunk driving, drowsy driving and speeding. How to Avoid Them: Keep your eyes on the road, never drive under the influence, always take a break if you’re tired, and respect the speed limit—no matter how deserted the road may be. The Cause: Watch out for wildlife! Recognition errors (such as inattention to your environment) or decision errors (like driving too fast) can cause this clash with Mother Nature. How to Avoid Them: Be aware of your surroundings, especially around the start of hunting season. Take extra care near deer-crossing or animal-crossing signs, which indicate that large numbers of deer and elk may congregate or wander into the road. And remember to ease up on the gas pedal; speeding reduces your ability to control steering, increases the force of impact, and cuts down the time you have to stop. If you do find yourself heading toward a deer or other animal, your instinct might be to slam on your brakes or swerve—but this could make you lose control of your vehicle and actually cause more damage. Instead, sound your horn and brake in a controlled manner. Be prepared! 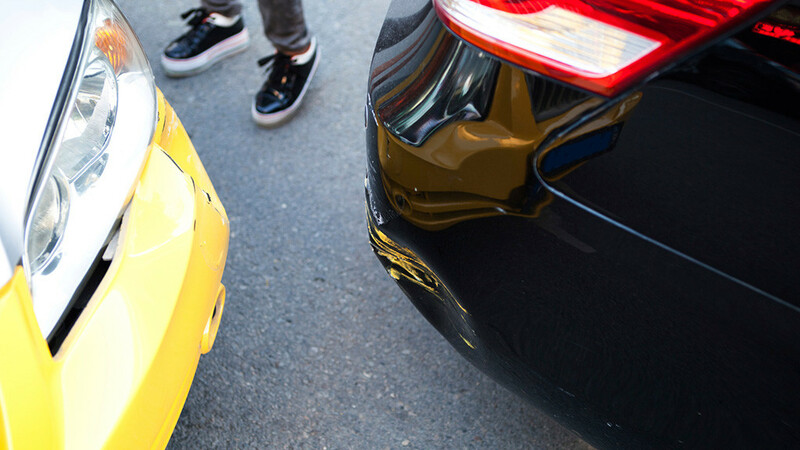 Read What to Do Before and After a Collision. And if you do get into a collision, keep in mind that you may qualify for a rebate on Ford Collision Parts.